It’s all about telling thrilling tales! 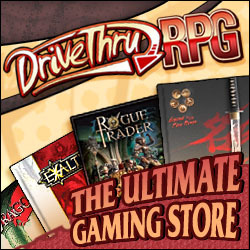 We’re creating more role-playing adventures so you can live them. Try out my mini solo campaign right here on our blog, for free, or check out my publisher page on Drive Thru RPG. Well, it’s me, Rodney Sloan, with help from my beautiful wife, who checks my spelling. Then add into the mix a first rate bunch of friends who are happy to help with play testing anything I throw at them. Also, for good measure, we have several goblins, a troll in the basement and a dwarf names Cedric who likes to sing Smoke on the Water by Deep Purple. I’ve been role-playing ever since I ran around the garden shouting “by the power of Greyskull!” This then matured with thanks to a great game known as Warhammer Fantasy Role-Play and a bunch of school friends. After school I studied Multimedia and worked in IT, while writing modules for local role-playing conventions since 2009 (and even a LARP events or two). On the last day of 2010 I decided to found this, *ahem*, party, and explore the wider world of adventure writing. Lunatic Labyrinth: a solo or 1-on-1 adventure for the Pathfinder Roleplaying Game. Sentinels Watching: our free solo adventure, is being turned into a PDF book and will be for sale from the end of June 2012. Get more scenes, more villains, more maps and more setting information for you to use in your own games. Kanji Flipper: this has nothing to do with role-playing, but has everything to do with learning Japanese. Avernos: is a setting created and written by Rodney, which is hosted right here on this site. Be sure to check back often as this world grows and we fill in those blank spaces on the map. @RisingPhoenixGM on Twitter: for all our tweets. Stuffer Shack: for Rodney’s Writer Profile.